Absolutely adorable! hardwood flooring, recently painted throughout, arched doorway, with newer replacement windows! Very attractive inside and out the house features a bright kitchen with new tile backsplash and stainless appliances plus a totally renovated bath! 1 bedroom on the first floor is currently used as a dining room - the door is stored in the basement. Upstairs is the large master bedroom with great closet space and room to spread out! Awesome location near Bowman Field, with a private fenced yard including a low to the ground deck, and a garage at the end of the drive. Move right in! Direction: Taylorsville Rd to Street (across from Bowman Field). Hathaway is a subdivision within the city of Louisville, Kentucky. There are currently 0 Homes for Sale within Hathaway, with asking prices ranging from $0 to $0. The average list price per square foot of the available inventory in Hathaway is $0, which is the Louisville average of $156. The Average Sales price of all sold real estate in this subdivision for the past year is $215,750. Recent comparable homes have been selling for 97.59% of their asking price. Waterfront homes represent of the available Hathaway inventory. The population of Louisville, according to the 2010 Census, is 597,337. The total number of households in the zip code of Hathaway is 10,614, with an average household size for of 2.09 people. The total number of renter households within the zip code of 40205 is 2,793, which means that 73.69% of households in this zipcode are owner occupant households. 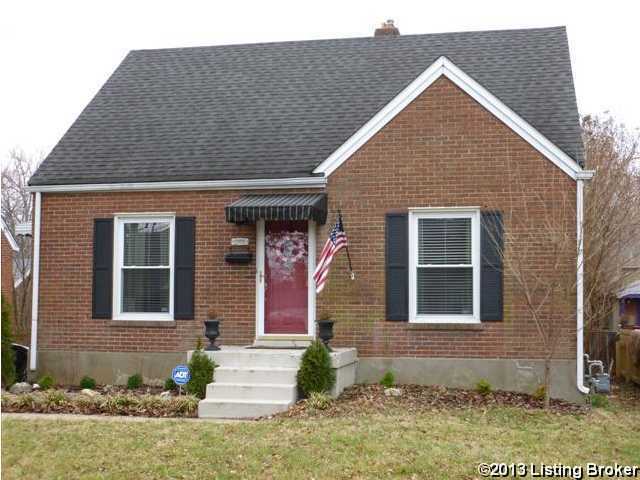 , Louisville KY 40205 is a Home, with 3 bedrooms which is recently sold, it has 1,181 sqft, 50 X 108 sized lot, and 1 Car Garage,Detached parking. A comparable Other, has bedrooms and 0 baths, it was built in and is located at and for sale by its owner at $ 0. This home is located in the city of , in zip code , this County Other, it is in the Subdivision, and Highlands are nearby neighborhoods.